Sporting Al Riyadi Beirut (LBL) added to their roster 30-year old Iraqi international point guard Kevin Galloway (200-98kg-88, college: Texas Southern). He is a dual citizen owning also American passport. 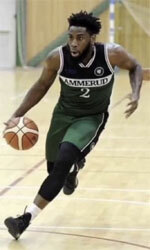 Galloway played last season at Malvin in Uruguayan LUB league. In 18 games he recorded 8.8ppg, 5.6rpg, 5.8apg (top 2) and 2.0spg (in top 5). 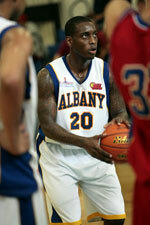 In 2011 he was drafted by Idaho Stampede (D-League) in second round (9th overall). The former Texas Southern University standoutis in his eighth season in pro basketball. The list of the past achievements is quite long as among others his team won Lebanese League Regular Season in 2017. Galloway was also voted Asia-basket.com All-West Asia Basketball Championships 1st Team in 2017. He represented Iraq at the FIBA Asia Cup in Lebanon last year. His stats at that event were 4 games: 15.3ppg, Reb-3 (9.5rpg), Assists-2 (6.3apg), Steals-1 (3.0spg), FGP: 48.6%, 3PT: 19.4%, FT: 47.4%. Galloway is quite experienced player. His career allowed him to visit three different continents, while he played in four different countries. Galloway tasted the life as pro basketball player in Europe, Asia and of course North America. He has played previously professionally in Greece (Apollon Patras and Ifestos), Japan (Osaka Evessa), Qatar (Al Gharafa) and Lebanon (Homenetmen).